Home > Uncategorized > UPDATE – KidKraft Vintage Play Kitchen (Pink) Only $67.88 + Free Shipping! UPDATE – KidKraft Vintage Play Kitchen (Pink) Only $67.88 + Free Shipping! December 6, 2018 Comments Off on UPDATE – KidKraft Vintage Play Kitchen (Pink) Only $67.88 + Free Shipping! UPDATE: Now only $67.88 + Free shipping! 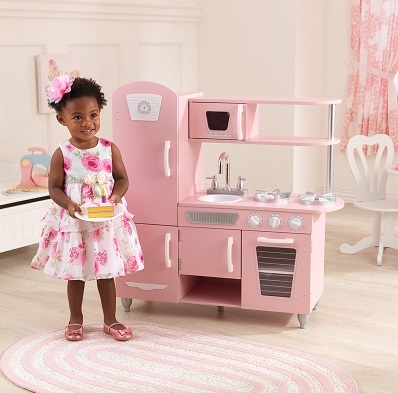 Jet has the KidKraft Vintage Play Kitchen – Pink marked down to only $67.88 + Free shipping! Save 40% Off Select Crocs (+ Many Already On Sale) – Crocs From Only $10.79!